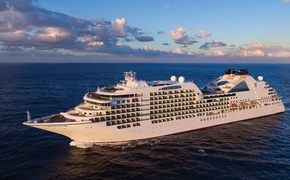 Oceania Cruises will welcome back its 684-passenger Insignia with a gala rechristening ceremony June 11 in Istanbul. The ship is currently operating on a two-year charter to the German cruise line Hapag-Lloyd, but returns to Oceania in April, when it will immediately enter dry dock for a major renovation. The work will include new Penthouse Suites (pictured). What’s more, the woman who christened the ship for Oceania 10 years ago will do the honors again. Virginia Watters, wife of the line’s founding chairman, Joe Watters, christened Insignia in March 2004 in Monaco in the presence of Prince Albert. Immediately following the ceremony, Insignia will depart Istanbul on a 10-day cruise to Athens, visiting ports in Turkey, Cyprus, Israel and Greece. Joe and Virginia Watters will sail on the voyage and host special events, such as a gala christening brunch, a sail-away cocktail party as the ship cruises the Dardanelles, Chairman’s Choice shore excursions, commemorative gifts and mementos, and exclusive Oceania Club parties and hosted dinners. 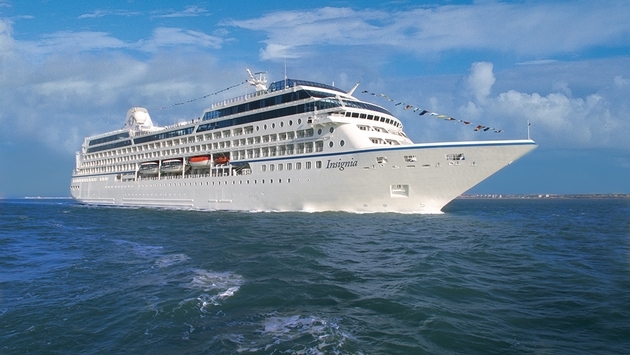 In 2015, Insignia will operate two 180-day World Cruises, departing Jan. 10 and July 8.